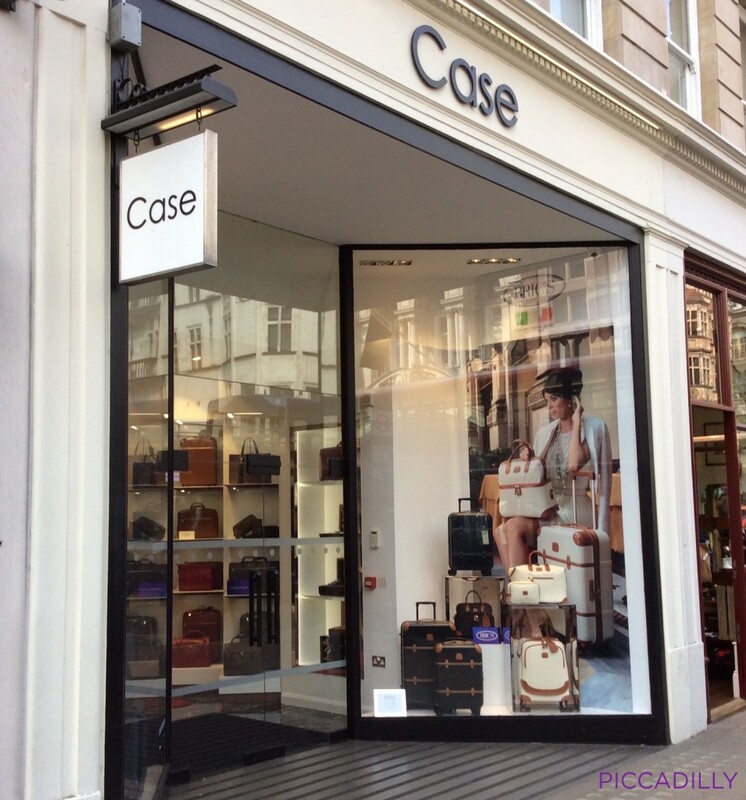 Case Luggage is very proud to announce the re-opening of their store at 170 Piccadilly as a multi branded concept luggage and leather goods store – their first in central London since 2001. 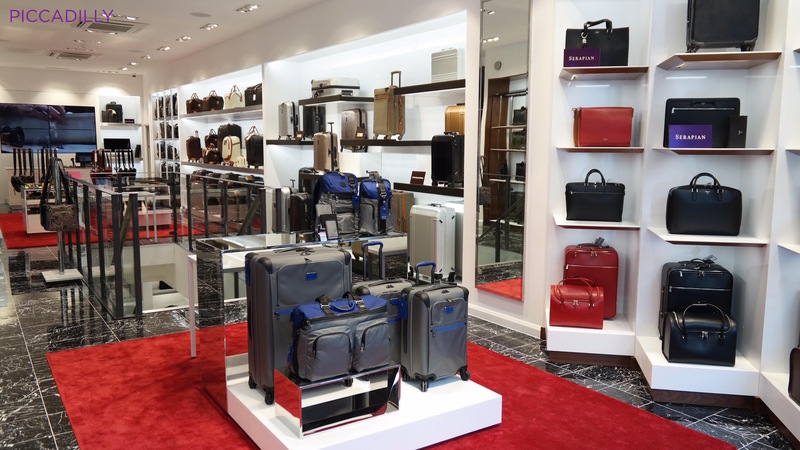 A luggage store has stood at 170 Piccadilly since 1923 and has been owned by Stephen Spitz since 1987 other than for 5 years (between and 1992 and 1997) when the business was sold and then repurchased by him and his management team. Standing opposite Old Bond Street, Case have created one of the finest independent luggage stores in Europe if not, the world. 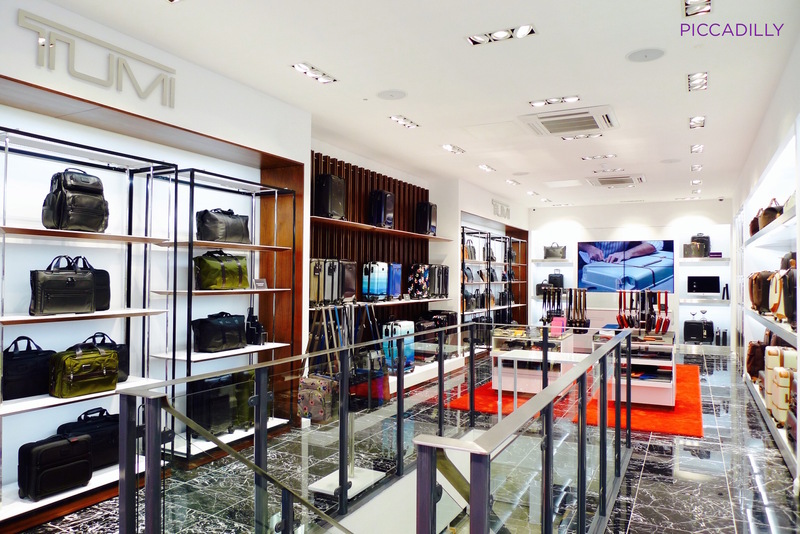 The design and implementation of this store which leads with a large TUMI shop fit alongside a selection of the best brands of luggage and leather goods is fresh, clean and inviting. The store is topped with a new LED lighting system that harnesses the latest technology of high powered illumination using a fraction of the energy previously used and tiled with a stunning 1,400 sq ft black and white ripple Italian marble floor brought to life by rich red floor rugs at either end of the store. As you look through the wondrous products on display your eyes eventually fall to the back of the store where four 75” LED screens form a cinematic screen sending 4k HD visuals supplied by brand partners telling their story in a quite remarkable and visually stunning set of story boards. Raylian Ltd Creative Director, Nick Short worked closely with the internal design team and Directors of Case in the concept creation of the store design. 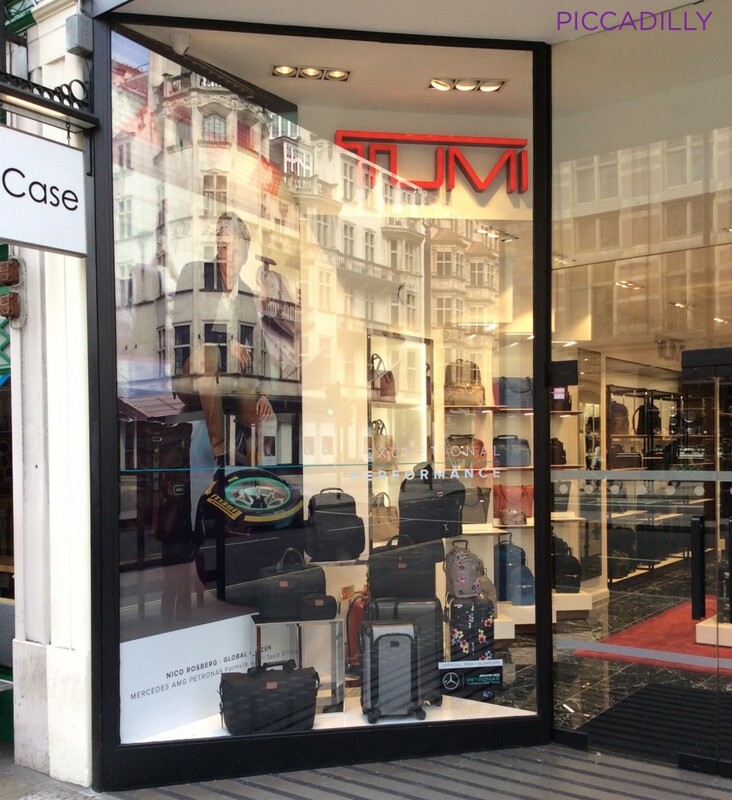 The store design has been carefully considered and balanced to ensure that the Tumi brand standard store design image and the Case store brand standard store design image do not look out of place with each other creating a harmonious architectural envelope that allows the customer to seamlessly travel through the store. The materials palette was kept to a minimum with white architectural features, polished stainless steel, black satin metal and walnut backdrop, all sitting on a luxurious black polished marble floor accented with a luxurious red rug. Nic Crossick, the Group’s Executive Director said; Case comes home!! After more than a decade away from the centre of London, it’s great to be back with our name above the door. By creating a multi-brand store we are really enabling our customers to see new brands and ranges that they would otherwise struggle to see in the market. Perhaps most importantly, having a Case location in central London will allow us to develop our Omni Channel strategy providing both Click & Reserve as well as Same Day Delivery service to customers working and living in Central London when ordering on caseluggage.com.